The apartment was well equipped, comfortable, clean and in a good location. The kitchen facilities including kettle, toaster microwave dishwasher and washing machine were good. Could be improved by addition of a couple of chopping boards and casserole dishes suitable for microwave. Apartment very clean and brand new !! It was big enough for 3 adults a 2 children. Indoor swiming pool and jakuzzi for free!! The apartment was fantastic I couldn't fault a thing. Pools were great! We done self catering, so we can only comment from that point of view. We liked every minute of our stay. Our rep was very polite and very helpful. Abraham who handled check in and was available if any questions etc. was brilliant, always helpful and friendly. We were upgraded to a Penthouse apartment due to there being construction work near original apartment, this meant we had option to pay 20EUR supplement for use of roof top terrace and BBQ which was well worth it! Apartment clean, spacious, everything working, lovely bathrooms, comfy beds, good WiFi speed, big balcony, sun all day. 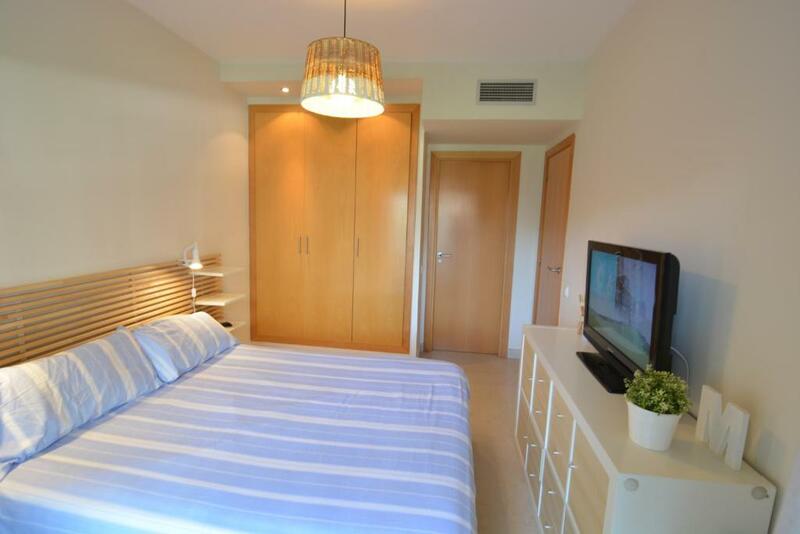 Location perfect for short walk to Portaventura, into Salou tourist area or Old Town. Safe and secure complex, was nice and quiet when we were there. We will definitely return in the future. The hotel was very clean and quiet, being out of season the pools were only open restricted times. Outside 12pm and indoor was only open at 4pm. You need a swimming hat to use the indoor facilities. The location was very good, close to shops and the beach(10 minute walk). The apartment was clean. It was a nice quiet family complex with no groups of lads or girls. Lock in a great price for Saval Spa Aqquaria Family Complex – rated 8.4 by recent guests! 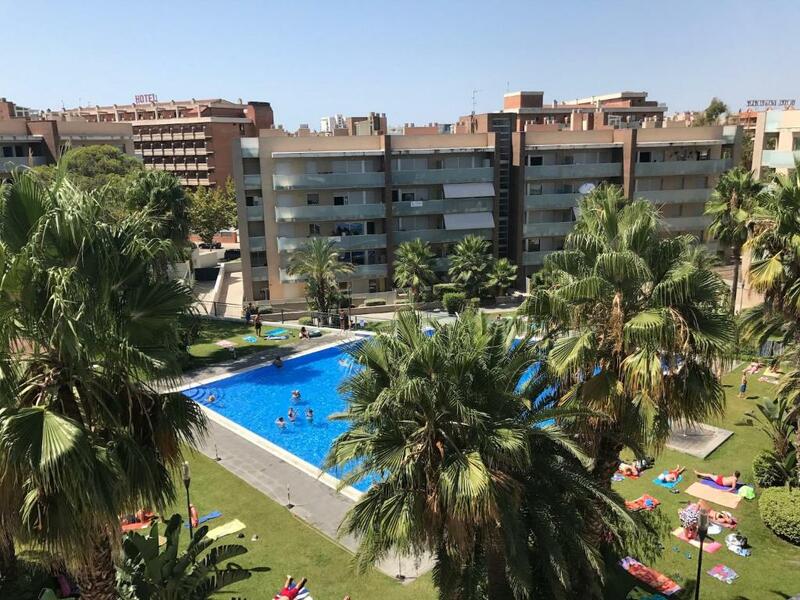 One of our top picks in Salou.Located 2,950 feet from PortAventura Theme Park and 10 minutes' walk from the beach, Saval Apartments offers air-conditioned apartments with a shared outdoor and indoor pool. Free Wi-Fi is provided, and private parking is available on-site for a supplement. Modern and bright, apartments come with a large balcony with garden and pool views. The fully equipped kitchen includes a dishwasher; while the bathroom comes with bath or shower. There is a washing machine, and bed linen and towels are provided. Other on-site facilities included a spa and a wellness center, a tennis court and a fitness center. 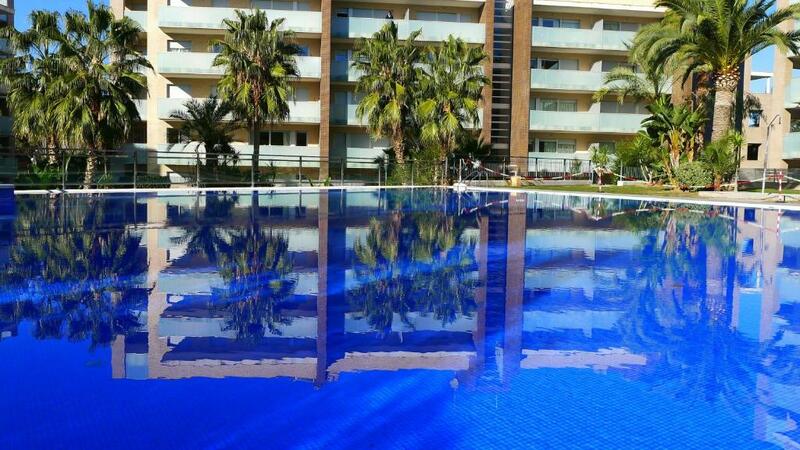 Located on Salou, the closest airport is Reus Airport, 6.8 mi away. When would you like to stay at Saval Spa Aqquaria Family Complex? This air-conditioned apartment offers 1 double bedroom, 1 bedroom with 2 single beds, and a sofa bed in the living room. The kitchen is equipped with an oven, a dishwasher, and kitchenware; while the bathroom comes with a bath and shower. There is a washing machine and ironing facilities are provided. This apartment has a large balcony with pool and garden views. This spacious apartment comes with a seating area with a double sofa bed. There is a double and a twin bedroom as well as 2 bathrooms. Set on the ground floor, this modern apartment features a large terrace and small private garden. It comes with 1 double bedroom with an private bathroom, 1 twin bedroom, and 2 bathrooms. The open-plan living area includes a spacious living room, dining table, and well-equipped kitchen. Featuring 2 balconies with views of the mountains, this bright apartment comes with 1 double bedroom with an private bathroom, 1 twin bedroom, and 2 bathrooms. The living area includes a living room, dining table, and well-equipped kitchen. 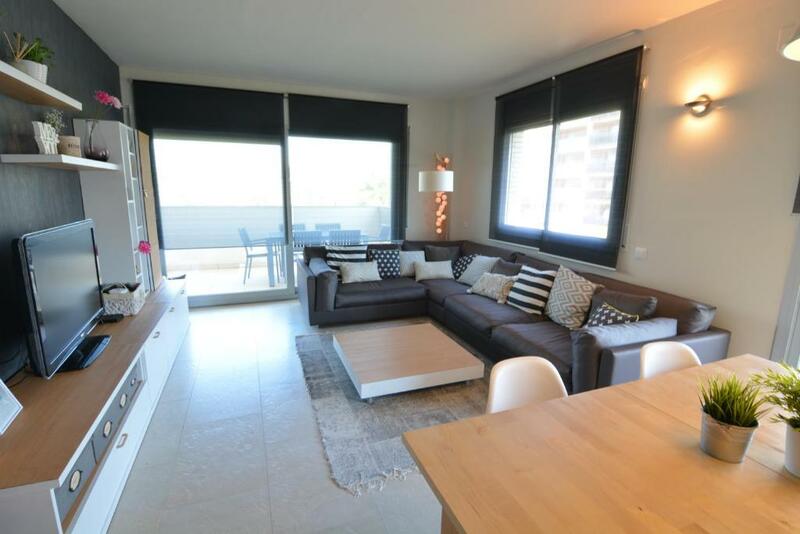 Set on the ground floor, this modern apartment features a two large terraces. It comes with 1 double bedroom with an private bathroom, 1 twin bedroom, and 2 bathrooms. The open-plan living area includes a spacious living room, dining table, and well-equipped kitchen. This 3-bedroom apartment features a large terrace with pool views. It offers a fully equipped kitchen with an oven, microwave and a washing machine. Air conditioning and heating are included. 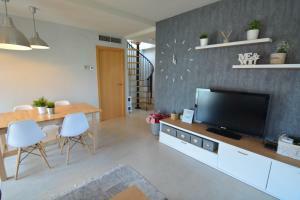 This air-conditioned apartment offers 1 double bedroom, 1 bedroom with 2 single beds, and a sofa bed in the living room. The kitchen is equipped with an oven, a dishwasher, and kitchenware; while the bathroom comes with a bath and shower. There is a washing machine and ironing facilities are provided. This apartment has a large balcony with pool and garden views. This penthouse apartment features an upper solarium area and an outside dining area including a gas barbecue. Please note the use of this facility is subject to a surcharge. Este establecimiento está especialmente indicado para las familias, somos especialistas en turismo familiar, ponemos todo tipo de facilidades para que tanto padres e hijos disfruten la estancia. 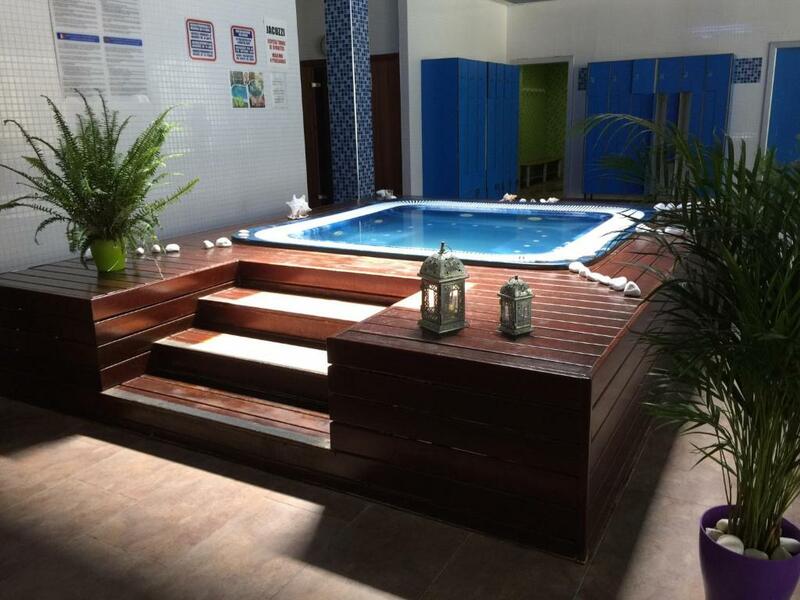 En nuestras instalaciones encontrará, varios tipos de piscina, adecuadas para todas las edades, parque infantil, saunas, jacuzzi, campo de petanca, pista de paddle, piscina climatizada, gimnasio etc. La cercanía de Port Aventura, le permitirá olvidarse de tomar el coche para acceder al parque, puesto que en un agradable paseo se encontrará en la puerta principal. Rogamos a los grupos de jóvenes que escojan otro establecimiento, puesto que el nuestro está, enfocado exclusivamente al turismo familiar. Somos Xavier y Elena una familia dedicada al negocio turístico desde el año 2004, gestionamos apartamentos turísticos, y ofrecemos servicios de transfer, venta de entradas a parques y eventos, etc... Estamos enamorados de Catalunya y orgullosos de que nuestros visitantes la descubran, y se lleven una magnífica experiencia. Estamos obsesionados en que nuestros apartamentos siempre estén impecables, tal como nos gustaría encontrarlos nosotros. Para nosotros esta actividad no es un trabajo, nos encanta recibir visitas y conocer personas. Por lo tanto vamos a hacer todo lo imposible para que su estancia en nuestros apartamentos sea una experiencia inolvidable por su excelencia. Nuestra zona es un autentico Oasis en Salou, muy cerca del centro turístico de la ciudad, y a la vez muy tranquila, sin ruidos ni tráfico. Paseando se puede llegar a la playa de levante que dista a unos 300 metros, y a Port Aventura que se encuentra a unos 15 minutos a pie, Supermercados, tiendas, Bares y restaurantes en un radio de 200 metros. Una excelente ubicación, para que disfrute de sus vacaciones . Excelentemente comunicada, desde nuestro complejo puede acceder a las principales carreteras de acceso a Tarragona, Reus, Barcelona, sin entrar en Salou con un importante ahorro de tiempo y estrés. 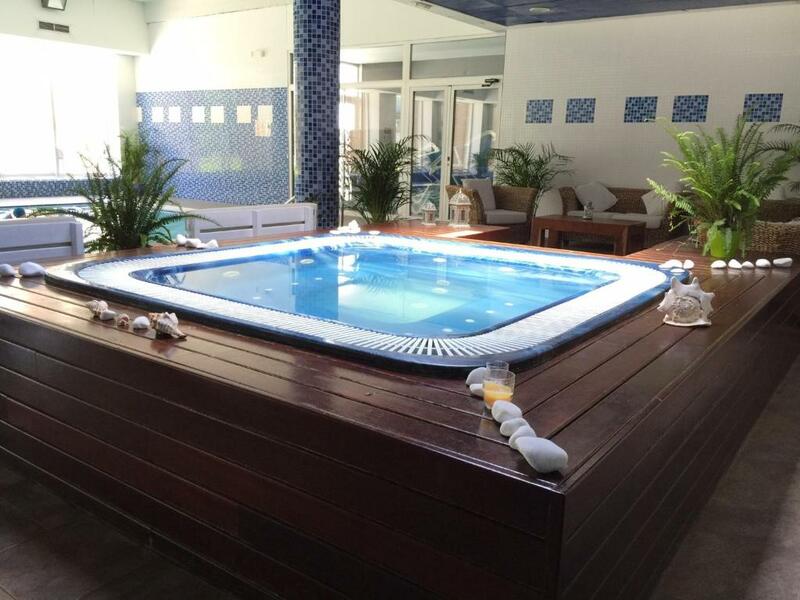 House Rules Saval Spa Aqquaria Family Complex takes special requests – add in the next step! A EUR300 damage deposit is required on arrival (around USD337.31). This deposit will be fully refunded 7 days after check-out, as long as there isn't any damage to the property. Saval Spa Aqquaria Family Complex accepts these cards and reserves the right to temporarily hold an amount prior to arrival. 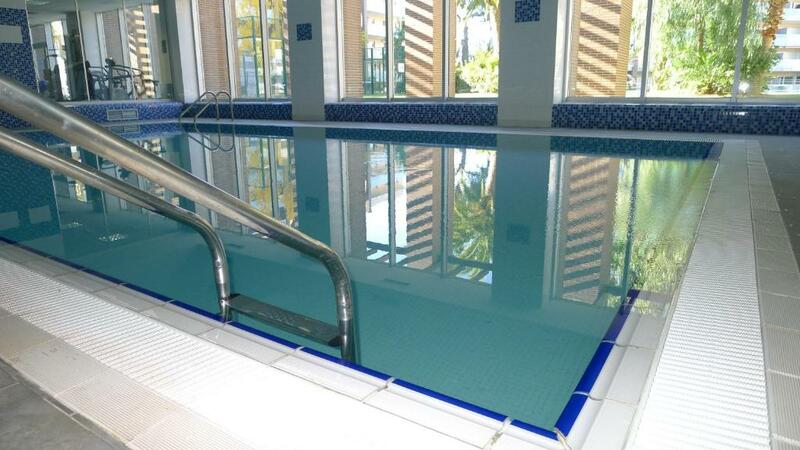 Please note that use of some spa facilities is only available for guests of 14 years of age or older. Please note that late check-in between 20:00 and 22:00 carries a surcharge of EUR 50. Please note, check in after 22:00 is not possible. Please note that the spa will be closed on 24, 25, 26, 31 December, 01 January and from the 18th to 23rd of February. Please note that check-in and key collection take place at: Avenida Batlle Pere Molas, nº 0-2 (edf. Royal), Salou 43840. A damage deposit of EUR 300 is required on arrival. That's about 337.31USD. This will be collected by credit card. You should be reimbursed within 7 days of check-out. Your deposit will be refunded in full by credit card, subject to an inspection of the property. Outdoor pool not open until June. Note - you need to wear swimming caps in the indoor pool and jacuzzi area. Location not best if going out of season i.e. Before April not very much open in nearby area. Hot water in the apartment ran out after one shower and you have to wait 1/2 hour or so to reheat so wouldn't be great if you are going as a family. Really cold swimmingpool and dirty as hell! Patio doors from one balcony can't lock! Secure issue. Double bed is extremely noisy, couldn't sleep there. Luckily we could use the sofa. Items for 2 days even if you book for more than a week: 2 coffee filters, 2 pads for washing machine, etc..
Bathrooms and the area are nice. Clean spacious and well situated. Location was very handy. Staff were very helpful. Apartment had everything. The mattresses were hard, but that was fine for the two nights we were there. No duvet cover provided for the duvet, which needed a wash.
We're not familiar with Salou and the road where the office located is very long with no numbers. Following a quick call to the office we were sent a WhatsApp with their exact location; after that everything was a breeze. It was relatively easy to park near the office, the staff are friendly and the check-in process is quick and efficient. The security is a hefty €300, but it was refunded very quickly; we vacated on a Sunday and three hours later we'd already received an email advising that it had been refunded. The complex is close to the office and it was easy to park on the street as opposed to paying for a parking space on the complex. The apartment was spacious and well cleaned, and equipped with basic, but nice furniture. Soap and toilet paper had been left in the bathrooms and washing up liquid and tablets for the dishwasher in the kitchen. 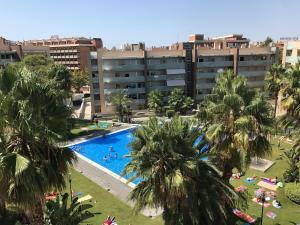 The complex is peaceful and yet an easy walk to the beach, shops and restaurants and only a ten minute walk to the PortAventura. Other half used the leisure facilities with no complaints. My only criticism was that the bed was extremely uncomfortable. The penthouse property was in a good condition with all the facilities that you would require. I was very impressed with how spacious the apartment was and as such it surpassed my expectations. It was nice and light and bright and the outdoor space on the balcony was great and we even had a top floor with a BBQ area which we paid extra for, which would be lovely had the weather been better. There was plenty of room for all 6 of us and it didn't feel cramped at all. We only spent 4 days here but it was in a good location which was within walking distance to Port Aventura which was our main reason for coming. It's a short walk to the beach, supermarkets, shops and restaurants. Had I booked longer, more hangers would be required but there is no shortage of hanging space or drawers in the rooms. There was a little confusion upon arrival regarding the location of the apartments and obtaining the key, as the gentleman who mans the reception was unable to assist, as he does not work for the same company. As such he wasn't able to really provide much in the way of helpful information as to how to obtain the key. however, we made a quick call to the host on our mobile and he very quickly met us at the reception to provide us with the keys and show us around. The host was very friendly and helpful. With regards to the pool it looked very clean. There was no lifeguard but we are not in peak season and most people would have found it too cold to use the outdoor pool, except for my children who were happy enough to jump in for a hour or so on one of the warmer days. We did not use the indoor pool but it's handy that you have that option. It's surrounded by lots of other properties so no real view other than other buildings, except for the top floor. We didn't experience any problems with noise from adjacent properties but it's not peak season (Halloween). The reception attendees didnt seem interest in any kind of help. We hired a car and they asked us to leave the key at reception and they refused to take it. There is no sun loungers at the poolside outdoors so you sit on grass. Unfortunately the situation of this apartment was overlooking a mail street and another holiday "Apart Hotel", this in its self was not a problem, it was nice and quiet during the day but it did tend to get noisier at night with the other hotels night-time entertainment program, this did not bother us, it was the deliveries to the hotel and the refuse collection lorries which seemed to go on all through the night which was the problem, this is my only negative observation. The layout of the apartment was excellent, so much outside space to take advantage of with two balcony terraces and a rooftop terrace. The living area is also spacious with two good sized bedrooms, one with a double bed and on suite facilities, bath with overhead shower, the second bedroom had a single bed on one side with a full built in wardrobe on the other, there was also a foldaway bed in this room. and a second shower room was also available. the apartment access and the living room had nice layout with a corner suite and a dining room table, the access to the roof top terrace was also from this area, a well-equipped separate kitchen just off the access area set the whole apartment off. There was good access to local supermarkets, with a Mercadona just round the corner on the main road and a smaller one just next to the Saval office where we picked up our apartment keys, take note these are located at the regal apartment building. 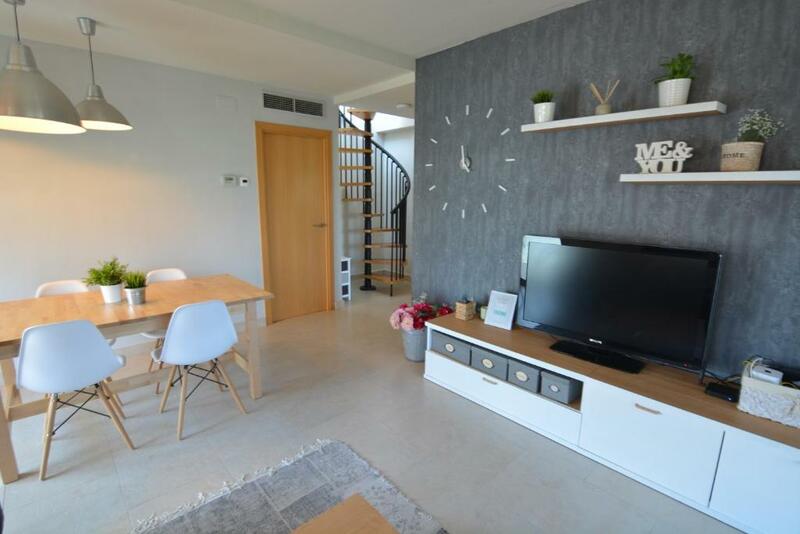 The apartment is a short five to ten minutes’ walk to reach the bars and shopping area with a ten to fifteen minute walk to the beach. Check in could be earlier, we arrived at 12.00pm and despite emailing before our trip we had to wait until 4pm to check in. Also, the guy in reception is not very friendly or helpful. The fridge also kept alarming so i had to reset the electric panel 4 or 5 times (once during the night). Our kettle stopped working on Saturday and i asked for a replacement, we left on Tuesday and still didn't get one. Very spacious and clean - perfect location. Can not recommend enough! !